(CBS News) So, I'm actually getting set to finally go on a vacation pretty soon (gasp!) and will be visiting San Francisco for the first time. 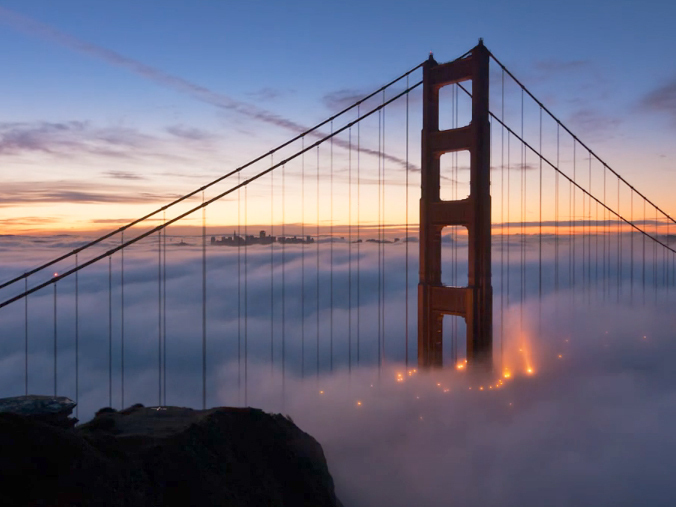 Which is why it's so serendipitous that I've come across this stunning time-lapse work above highlighting the famous fog of that very city. To say the least, I'm more excited than ever about this trip right now. And you'll see why when you watch. It has been almost 3 years since I released "The Unseen Sea" and I'm excited and proud to share with you my latest project "Adrift". "Adrift" is a love letter to the fog of the San Francisco Bay Area. I chased it for over two years to capture the magical interaction between the soft mist, the ridges of the California coast and the iconic Golden Gate Bridge. This is where "Adrift" was born. Speaking only for myself in answer, I could not be happier or more excited now about my upcoming travels to San Francisco. A big triple-rainbow salute of wonder and awe in an urban environment goes out to Simon from all of us here at The Feed! I'm including the aforementioned, and equally wondrous, "The Unseen Sea" below for reference. And to learn more about or see other amazing works from photographer Simon Christen, be sure to visit his website by clicking here.